About two-thirds of American men will experience some type of hair loss, or alopecia, by the age of 35. By the age of 50, about 85 percent of men will notice thinning hair. It's that common. In male pattern baldness, some men might experience hair loss as early as their teens. While some types of hair loss happen slowly and may need minimal treatment, other types are aggressive and may require more advanced treatments. While the cause of hair loss varies from case to case, Drs. True and Dorin have successfully treated many men at their New York, New Jersey, and Boston offices. In an effort to educate men on the various types of male hair loss, the symptoms, and causes, they've provided this brief introduction to male alopecia. The most common symptom associated with male hair loss is a gradual thinning on the top of the head, caused by male pattern baldness. In male pattern baldness, the hair often recedes at the front of the scalp, the crown, the temples, on either side, or spreads out from the top. Some men might notice one or more round bald spots throughout their head, which is caused by alopecia areata. Another symptom is a sudden loss of hair that is characterized by an overall thinning throughout the scalp. Finally, some men might experience full-body hair loss. 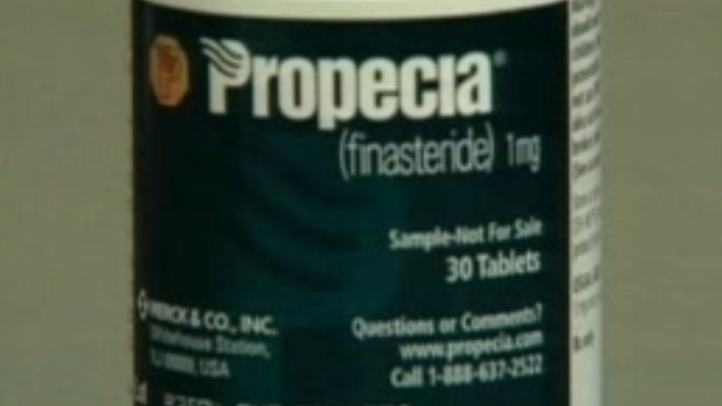 Dr. Dorin answers the question: "What about Minoxidil or Propecia?" One very common cause of male balding is a genetic condition called male pattern baldness, or androgenic alopecia. Male pattern baldness can result in partial or complete hair loss. Another frequent cause of male balding is excessive production of two hormones: androgen and testosterone. Other causes of male hair loss include autoimmune disorders, medications, illness, and aging. In the case of medications, drugs used to treat blood pressure, cholesterol, cancer, depression, and arthritis can all result in hair loss. Illnesses including ringworm, parasites, syphilis, diabetes, and kidney disease can also cause hair loss in men. Malnutrition is another possible cause. Sudden emotional or physical shock such as rapid weight gain or a death in the family can be responsible for hair loss. At True & Dorin Medical Group, male hair loss is treated by experienced and highly qualified hair restoration surgeons Dr. True and Dr. Dorin. They have the training and experience to evaluate your specific case of hair loss and discuss the options that are best suited for you. To learn more about male hair loss and its treatment, please contact True & Dorin at one of our New York, New Jersey, or Boston locations.